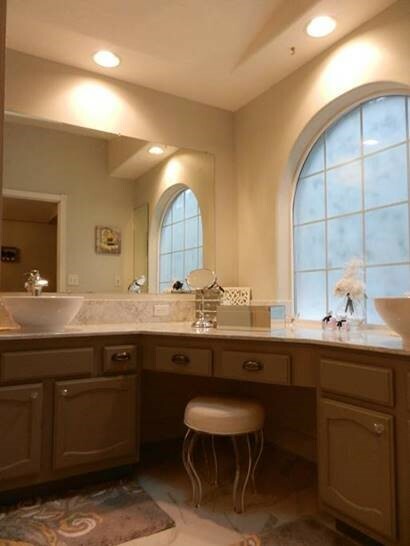 This Eugene bathroom received a fantastic update. With new flooring, counter top and sinks and a fresh coat of paint, this bathroom now looks sleek and modern. The Dunbars of Eugene say “My husband and I hired Castile Construction to help us renovate our master bathroom. Working with Forrest and his team was a great experience. Forrest was very communicative and always concerned with how we thought the process was going and constantly striving to ensure that we were having a positive renovation experience. Forrest would always respond to any of my questions whether that be via phone call, text or email, which made my life much easier! The quality of the products and workmanship was second to none! The marble floors and marble counter top look amazing and his team was always courteous, efficient, friendly and very professional. I would recommend Castile Construction without any reservation.